When it comes to decorations for special events, it’s the details that make it memorable. We have a great selection of decorative sheets, chair sashes, table runners, overlays, and more. These products are great for weddings or other parties that need that memorable decorative touch. Go for a rustic look with jute or linen, or choose lace for a more formal approach. All of our event décor is great for many special events. Weddings are perhaps the most popular, but you can also use these products for baby showers, Christmas parties, birthdays, graduation parties, and more. The majority of our decorative items are plain and can easily be customized with twine, dye, paint, and more. Check out this tutorial on how to decorate a burlap table runner with twine and felt. Most of our event décor products are made of lace, jute, linen, or a blend. Spot cleaning is recommended for all. However, linen can be machine washed with cold water on low speed. Click here to learn more about burlap fabric. Our burlap aisle runners are great for rustic weddings. They’re 36 inches wide by 100 inches long, but can easily be cut to accommodate your needs. To anchor down the ends or corners, you can use a metal rod, tent stakes, or even rocks. Spot cleaning is recommended. Burlap chair sashes are also perfect for rustic weddings and events. Each roll is 3 yards long and 7 inches wide, generally enough for 1 chair each roll. Our linen and jute sheets can be used for table decorations like napkins and place mats. They can also go under centerpieces or wrap gifts. The size of these decorative sheets range from 15 to 30 or more inches square and come in packs of 6 or 12. Jute garland is similar to chair sashes, but each roll is 10 yards long and 14 inches wide. These are often used to make decorative garland and wall/ceiling decorations, but can also be cut smaller to make sashes, place mats, and more. Our burlap, lace, and linen tablecloths and overlays are available in an array of sizes to perfectly fit your tables. 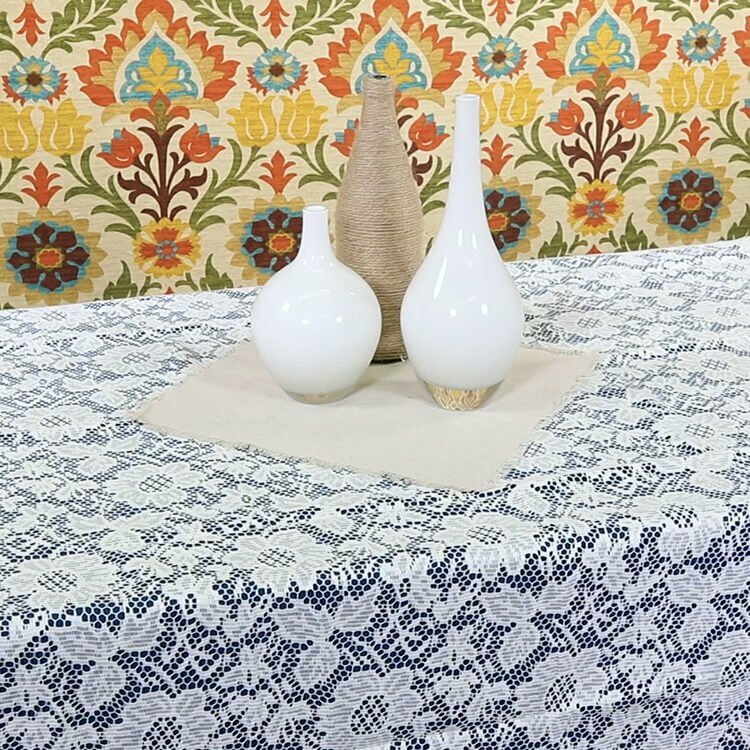 Overlays are often used on top of tablecloths, but can be used as tablecloths themselves. You’ll find square, rectangular, and circular selections here at OFS. Table runners are essential for event decoration, but they’re also an excellent way to spruce up your everyday table décor at home. 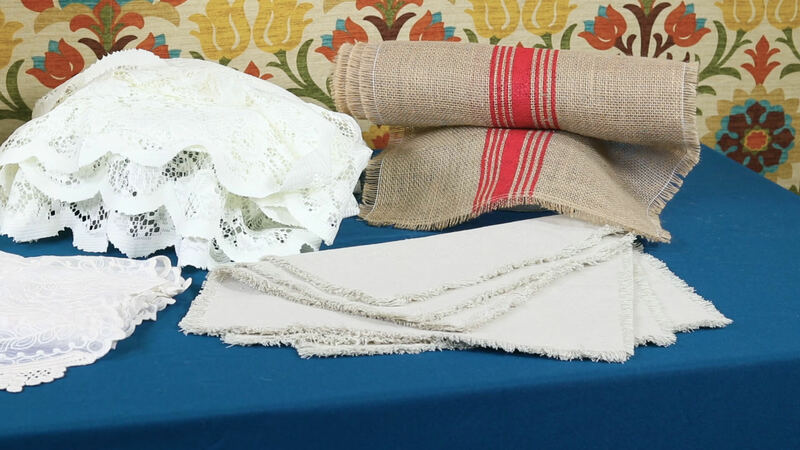 Our selection of table runners includes burlap, lace, linen, and cotton/jute blends. Click here to learn more about burlap table runners. Check out our selection of event décor.